A comedy club in Cambridge that has become an institution of sorts is closing down, and it is currently looking for a new home. Cambridge Day is reporting that the Comedy Studio, which is located above the Hong Kong Restaurant in Harvard Square, is leaving its space at the end of the year and is starting to look for a new spot, with the article saying it could be moving outside of the square, or possibly even the city of Cambridge depending on what it finds for a new home. The post says that part of the reason for its closure is rising rents, but founder/owner Rick Jenkins also says "It's just that the Hong Kong could do so much with that room and we could do so much more with our own room that this seems like the best way to go about it." 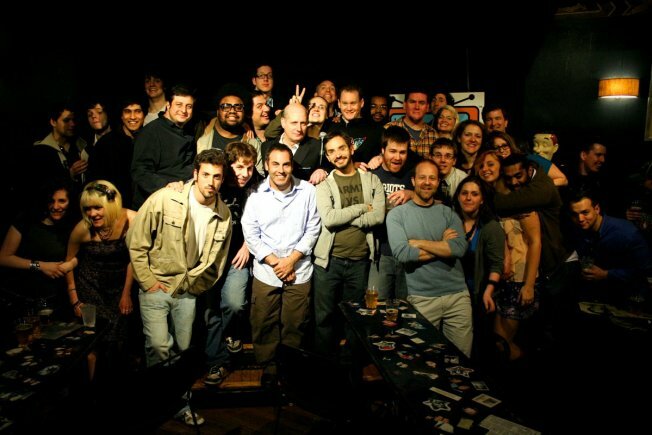 The Comedy Studio has helped launched the careers of some big names since opening in the mid-1990s, including Louis C.K. and Bill Burr, according to Cambridge Day.